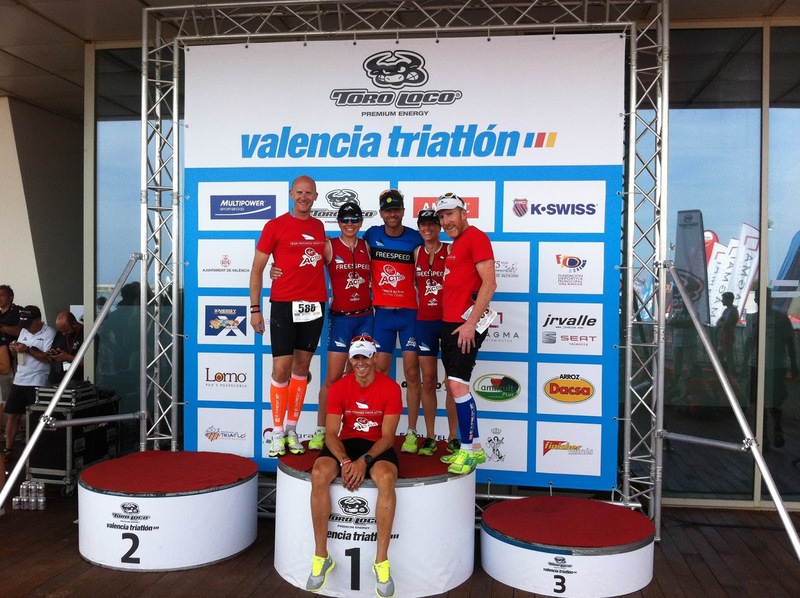 Thanks to Virgin Active, a bunch of Team Freespeed went down to Valencia to race the Valencia triathlon at the weekend. A week after Ironman 70.3 Zell Am See, Mr TOTKat and I would have just about enough time to get over lead-legs and needing to sleep a lot, and get out and race an Olympic distance with a good degree of fitness and energy. We swapped bikes in the bike boxes, TT bikes out, road bikes in - Valencia is a drafting race so TT bikes aren't allowed (or rather, long aero bars aren't allowed as they're pretty dangerous at close-quarters riding). Plenty of clip-on, stubby aero bars in evidence at the race, but I'll get to that in a bit. 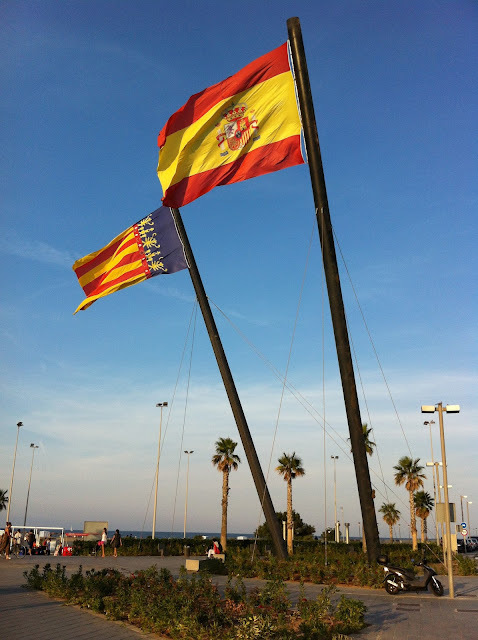 We flew out on Friday morning from Gatwick and into 28C an sunny skies in Valencia - gorgeous! The forecast was for cloud and still warm across the whole weekend, so no need for a wetsuit (though we both packed one, just in case) and no need for socks apart from the fact I really want to be sure my feet are good for the next few weeks into the Rotherham 80km Ultra marathon. Fun and games at the airport with 9 people and 5 bike boxes to get to the hotel and only normal-sized cars as taxis. No mini-buses, no people carriers. We managed somehow and got to the hotel, which was really lovely and welcomed us with cava and orange juice as well as little gift packs with maps and travel passes in them. A little unpack, then off for a swim down at the beach and back to the hotel for an early night. 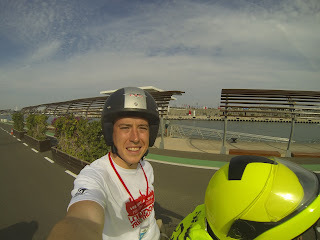 Next day we put bikes together and headed out down to the sea front to have a look at the race expo. Not so many vendors there but a few stalls with general sports kit and the registration tents for when that opened later on in the afternoon. Back to the hotel for a huge nap and then out with the other guys again to register and rack up bikes. Sunday morning was an earlyish start at 6am to get to transition before it closed at 07:45 in time for the first race start at 8am. I popped into transition to set up my shoes, helmet and take the plastic cover off my bike that'd been protecting it from the potential rain overnight. I said I'd take the plastic cover off Matt's bike for him so he could have a nice lie in for his race start at 10:30 so I did that and checked his tyres were OK - they were. Mr TOTKat was due to be off at 08:20, so those of us off later went to check out the swim course while he got ready to start and then watched the swim leg for the first few waves and then saw Matt burning off the front of his wave before Jenny and I headed to get ready for our start. We were herded into the start pen for a pre-race talk; 5 minutes in Spanish, no English for the International athletes. Oh well! We then plopped into the water, which was gorgeous temperature for swimming in! It was so very very salty too. Bang went the start cannon and I tried really hard not to just mow over the row of women in front of me who were really slow, but got over the reticence and got on with it. It really wasn't very fighty as deep water swim starts go, just a little jostling at the start then I had clear water. Having recced the swim course earlier, we had a great idea of how to sight for almost all of it and I put some good effort in for the first few hundred meters before easing off a bit, slightly distracted by the salt water in my mouth. 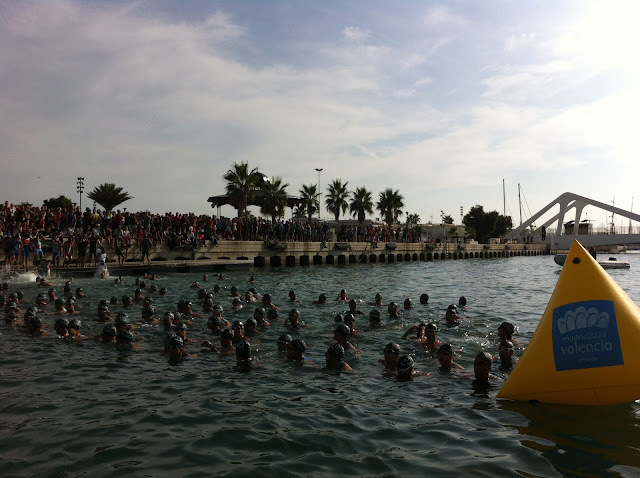 With the beautiful water, the temperature and the freedom of just a tri-suit maybe, the swim felt really really easy. I didn't put a whole lot of effort in, if I'm honest, but it turned out I led the second pack for quite a way until getting under the bridge for the final few meters and a couple of women overtook me, and I let them as I wasn't sure where the exit was so I'd rather follow them. I scrambled out, up the ramp and jogged the long long carpet through to transition and around to where my bike was racked. On with the helmet, race number, socks (paranoid about blisters at the moment), bike shoes, sunglasses, unracked bike and jogged with it to the bike exit. Over the line, mount the bike and clip in. I heard cheers from the spectators of "Go on Kat!" etc. I guessed that was Nick and Mr TOTKat as he'd've finished by now. Start to pedal as I just hit the left turn for the bridge and *THUB*THUB*THUB* er... not a good noise. Stop, unclip, feel back tyre - fine, feel front tyre - flat as a pancake. My repair kit was not with me, having lost a chunk of it last week at Ironman 70.3 Zell Am See I'd not replaced it yet and decided not to carry a reduced kit for an Olympic distance race. I unclipped my other foot, dismounted and hugged the fence back to transition against the flow of other athletes. I had to find a race official, to withdraw from the race so they wouldn't worry about a missing athlete. I found one with a radio and made the international sign of the glum face and pointed at my dead wheel. That worked. Mr TOTKat had by that time made his way level with where I was and shouted that I should use his repair kit from his bike. I politely declined at that point - it'd've taken me ages to find his bike, get the kit and wrestle the still fairly new tyre off and by that time I'd've lost over 10 minutes and I'd be the last person over the finish line. I didn't much fancy that and I'd had a lovely swim, so why get cross and have a horrible run by myself in the blazing sun when I didn't really need to? I racked up my bike and joined the boys to cheer the rest of the team home over the line. Turns out I was 3rd in the Vet Females in the swim. Which was nice. Matt won the Veterans race, and Jenny was 4th woman overall and 3rd in the open women's race. Pretty darned good for her seeing as she'd had the twins only 10 months ago and not been able to train for a long time! All in all, I really enjoyed the race and the weekend. The swim was really very nice and although it was a shame not to have been able to ride the bike course, there's always another year and we'd be more than happy to go back again. 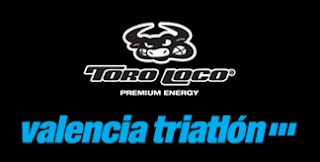 The short of it, the Valencia Triathlon is a good 'un and at a good time towards the end of the season to keep spirits up in the sun.